Developing an enabling environment is critical for the success of a PPP programme and requires actions from governments to strengthen policy, legal and institutional frameworks while considering the financial mechanisms that could back PPP development. To learn from country experiences, the paper analyses the latest development in these areas and presents the results of a survey conducted with more than 20 PPP units in Asia and the Pacific. 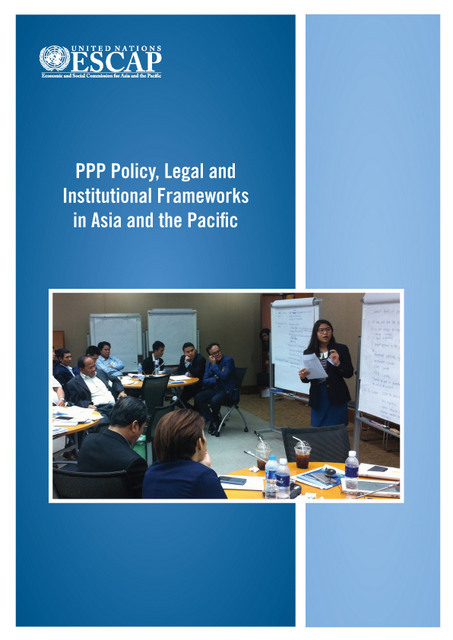 Concerning the PPP policy and legal frameworks, the paper highlights that two main approaches have been followed. While most countries in the region have opted for enacting a specific piece of legislation, other countries have decided to work with policy guidelines. With regard to institutional arrangements, the paper identifies that around 50 per cent of the region’s countries have established dedicated PPP units, which are considered instrumental to build the required expertise for developing a PPP programme. These units vary, however, widely in terms of size and location, and do not perform the same functions in every country. The paper also highlights that PPPs are rarely neutral from a budgetary point of view and that financial support is often needed. This support is broadly divided into three categories with the following objectives: to provide resources to prepare projects; enhance financial viability; and cover risks that the private sector is not ready to bear. Recognizing the potential fiscal impact of PPP projects, some countries have set-up mechanisms to manage related contingent liabilities; although this area remains largely a work-in-progress in the region.